Nothing is safe from bling at my house. N.O.T.H.I.N.G. Even my super boring laptop bag got a Pick-Me-Up fit for a tween. Like the cute rhinestone embellishments I added to my daughter’s dress and my laptop bag? Here’s how I did it. I started with a Rhinestone Starter Kit from Silhouette. These images were found at the Silhouette Store. I hate wasting my supplies, so I crammed them as close together as I could get them. Now I have additional material leftover so I can use it again to make another new project. 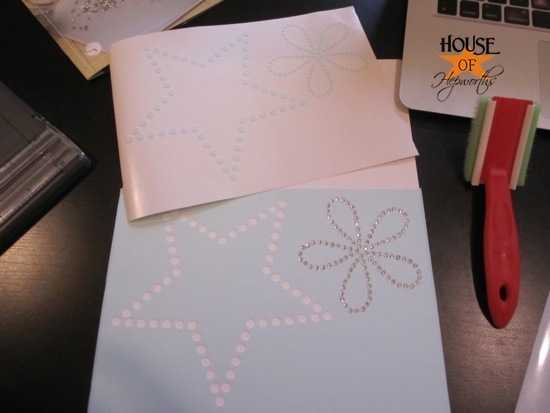 When you cut rhinestone projects with your Silhouette you cannot resize the images. They are created to fit the rhinestones perfectly. I started with the flower first and used the rhinestone positioning brush to quickly get all the rhinestones placed. I’ll show you more in depth on the star decal in a minute. 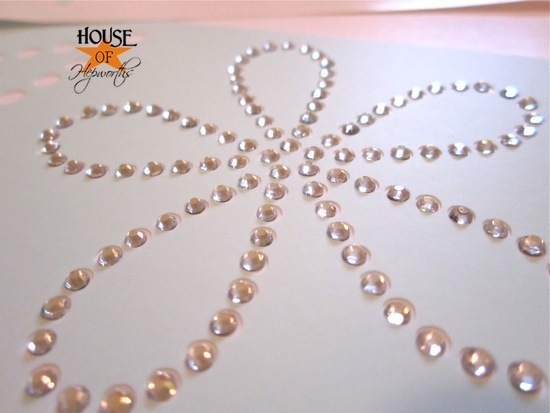 Once all the rhinestones are positioned use the transfer paper to move the rhinestones from your board to your project surface. 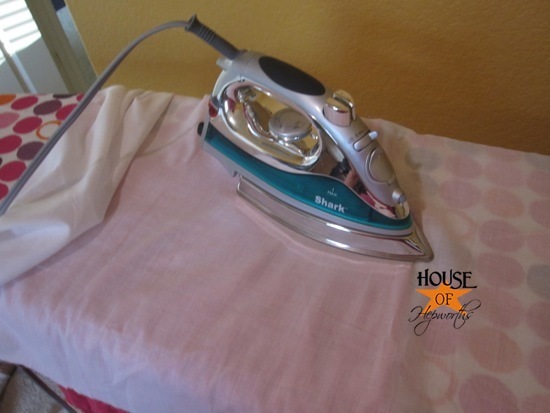 Cover with a thin sheet or towel and hold the iron on firmly until the rhinestones adhere. 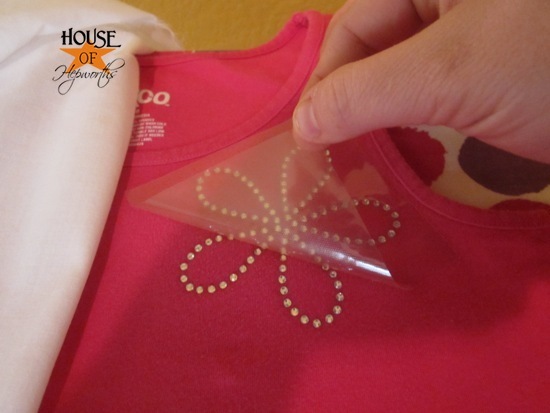 Once they are stuck to the fabric simply peel off the transfer paper to reveal an adorable rhinestone embellishment. My daughter went absolutely nuts when I gave her her newly embellished dress. And it was such an easy addition. Now for the laptop bag. I started with this boring but super functional bag for my laptop. As a blogger I am always lugging my computer around with me. I wasn’t sure how the nylon fabric would handle the iron but I just threw caution to the wind and did it anyway. 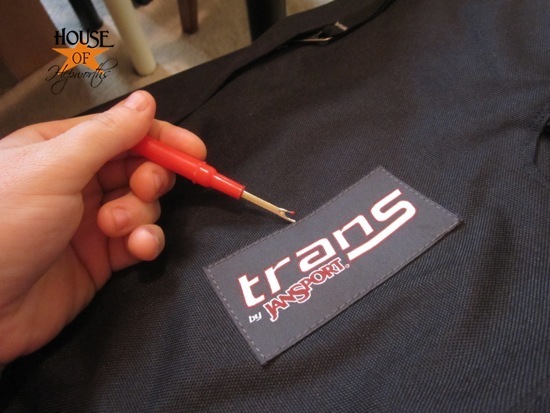 I started by removing the super boring Jansport logo from the front of the bag. A simple seam ripper had the logo removed in just a few minutes. I used the rhinestone positioning brush to position the rhinestones. 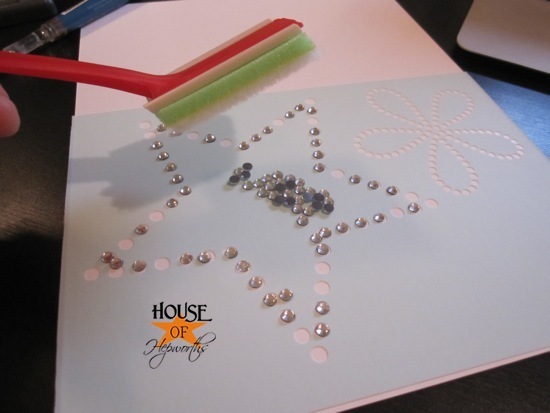 To position the rhinestones just pour a pile of them onto your cut rhinestone paper and then gently move the brush around over the top of the rhinestones. It’s seriously like magic. Most of the stones will turn over the right direction and will magically appear in the proper holes. For the additional stubborn rhinestones, I used the Pick-Me-Up Tool to push the rhinestones into place. The opposite end of the tool grabs and picks up all the leftover stones. After adhering the stones to the transfer paper it was time to find out if an iron will melt nylon. Fortunately the fabric help up beautifully and I am now left with a huge bling-y star instead of a boring patch. I love this post!! 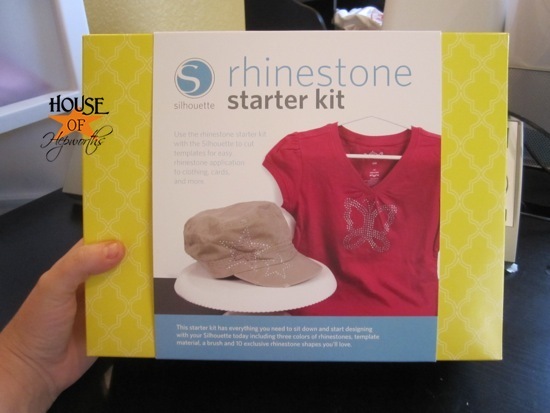 Who wouldn’t want their very own Rhinestone Starter kit? I subscribed to Silhouette’s Blog and I pinned the pic of your daughter’s dress. Thank you for such an awesome contest! I follow the Silhouette bog via email! I pinned the Silhouette promo via House of Hepworths! Love it! I never thought of taking off the label on a messenger bag. My hubby gets them all the time at his conferences. Hello I now have something new to work on! Thanks for the idea. I need to get this machine! Wow! 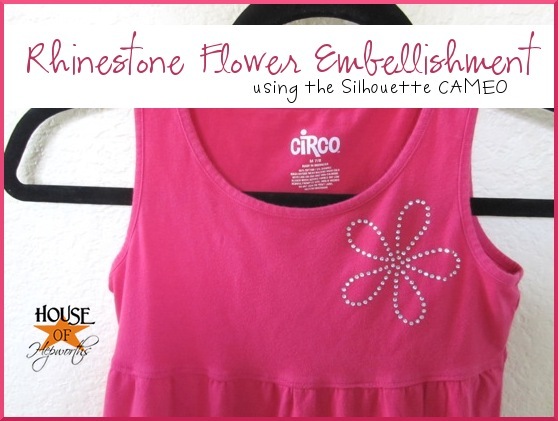 Would love to win the cameo and I am following silhouette’s blog! I love yours too! I pinned your baking container labels! Awesome idea! pinned an image to pinterest! I follow Silhouette blog by email. I already subscribe to the Silhouette blog and I pinned a great photo on Pinterest. I’m following Silhouette’s blog via email. Pinned the rhinestone flower image to Pinterest! Thanks for the opportunity! Following Silhouette’s blog. Thanks for the awsome giveaway! Thanks for the opportunity to win! I subscribed to the Silhouette blog via email! I’ve just recently discovered the Silhouette Cameo and have Ben saving towards it. How awesome to read your blog today and find out a way to WIN one!! I’m now following the Silhouette’s blog too. I follow the Silhouette blog through Google Reader and Facebook and have for several months! I am a follower of silhouette’s blog. Also pinned the post to Pinterest. I follow silhouette’s blog. Thanks for the giveaway. Would love to have this. I have been saving for one. It will take awhile. but it will be so worth it. Will be following there blog. I know my girlie girl would love the bling on her many purses. I follow Silhouette blog. I own a Cricut, but would love a Silhouette! I follow the silhouette blog and would so so so so love to win this!!!! I’m a Silhouette Blog Follower! I follow Silhouette via google reader. I pinned from this post! I follow the Silhouette blog. Thanks for the chance to win! What an awesome giveaway! I have been wanting a cameo so badly and hadn’t even considered it’s rhinestoning capabilities. The possibilities are truly endless! I pinned an image on Pinterest. Thanks for the chance to win! I follow their blog. Thanks for the fun giveaway! Would love to win this combination. Have been looking at this particular machine. Thanks for the opportunity to win.i also pinned the star bag. Love it. I pinned! 🙂 Thanks so much! I follow Silhouette through RSS. I followed Silhouette’s blog on feedburner! I follow Silhouette!!! And I NEED a Cameo! Thanks for the giveaway! One Day a SIlhouette I’ll win! I follow the Silhouette Blog. Thanks for the chance to win a Cameo! I also pinned the Cameo promotion and giveaway on Pinterest! 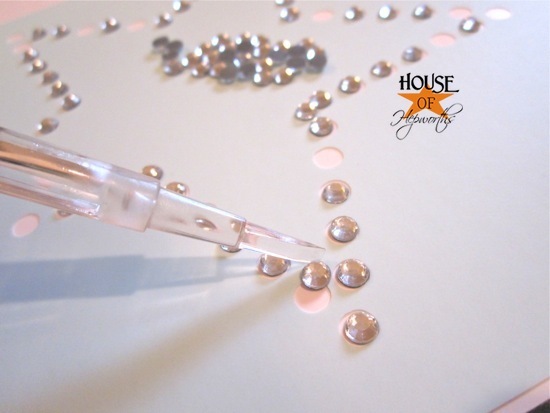 I would live to try the rhinestones… Looks so easy. I already follow Silhouette!!! I pinned an image of the rhinestone flower! Ive been following silhouettes blog for a long time. Thanks for sponsoring such a fantastic give away! Following your and the silhouette blog!!! 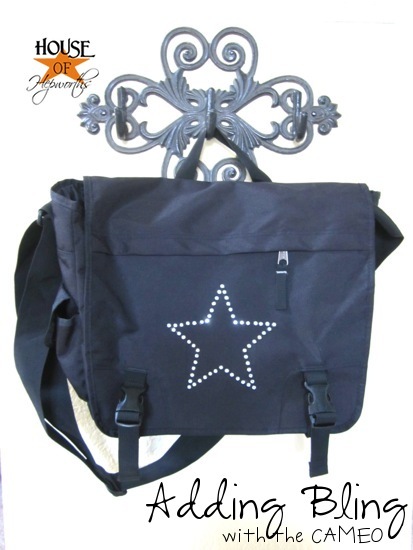 I pinned your blinged out bag…. love it! I am following Silhouette blog! 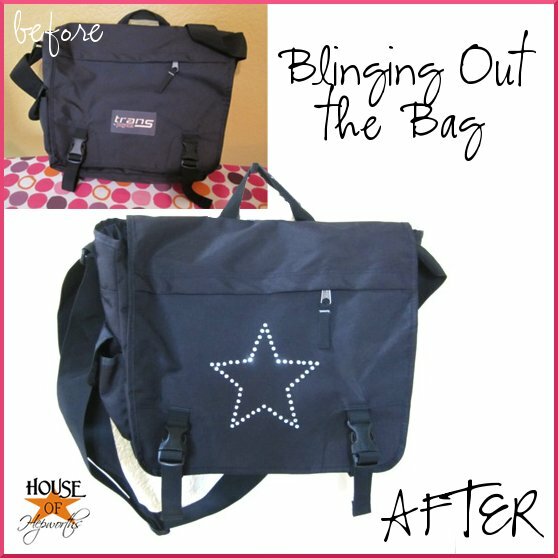 I pinned the blinged out bag image! I follow the Silhouette blog AND pinned the cute bag to my Pinterest! Love pretty much everything you do on your site!!! I’ve copied several items as well….and without shame! I follow the Silhouette blog. 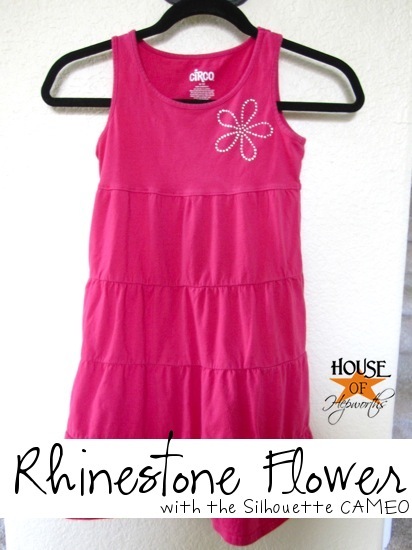 I love the idea of rhinestones on simple dresses. My daughter would love that! Hi Allison! I already follow the Silhouette blog and love it! I pinned the picture of your starter kit! I pinned the a photo of the dress on Pinterest! I follow the Silhouette blog. LOVE all your ideas and inspiration w the rhinestones! I pinned the bag! Love the rhinestones! 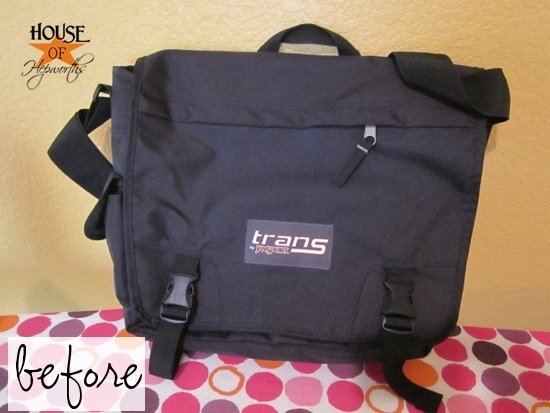 Love your computer bag makeover… the work-issued bags are so ugly, and it’s such a simple way to get rid of the ugly. I follow the silhouette blog. LOVE all the possibilities and follow the Silhouette blog via email. I pinned from this post to pinterest. I pinned the image off your daughter’s dress. What a fantastic idea! Plain dresses/shirts are normally cheaper, and this is a great way to add some pizzaz! Thanks, Allison! Love the silhouette machine and blog! I pinned your awesome cool bag! I pinned a picture of your blinged-out bag. That would be perfect from my daughter’s swim team bag! I follow Silhouette’s blog. Thanks for this giveaway! Just pinned a pic!! Always so excited for these giveaways! I hope to make the Cameo a part of my craft closet someday, one way or another! Just followed Silhouette, thanks for the opportunity. I signed up to follow the Silhouette blog & pinned from this post. I hope today is my lucky day! I’ve been following the Silhouette blog for quite some time thru Google Reader. Thanks for the giveaway. I follow the Silhouette blog on google reader, thanks for the giveaway!! I pinned your cute star bag. I pinned the cute dress! I follow Silhouette’s blog, feeling depressed I can’t make any of their great ideas! Help me join the silhouette club! I pinned a pic! I can’t wait to try one of these projects out! I already follow Silhouette’s blog. I already follow silhouette! Thanks for the giveaway! I pinned an Image of your bag to Pinterest!! I followed! I would love to win this!!! I follow Silhouette’s blog. Now I just need a Silhouette to do all the cool things they email everyday. I have an SD, but I NEED a Cameo! (Then I can spread the love and gift my SD to my sis in law who covets it! 😉 I follow Silhouette’s blog! I follow Silhouette via email! I pinned the cute flower embellishment! I’m subscribed to the Silhouette blog! I already follow the Silhouette blog with my Google Reader. I pinned onto my Pinterest. awesome giveaway thanks for the chance i follow silhouette’s blog. 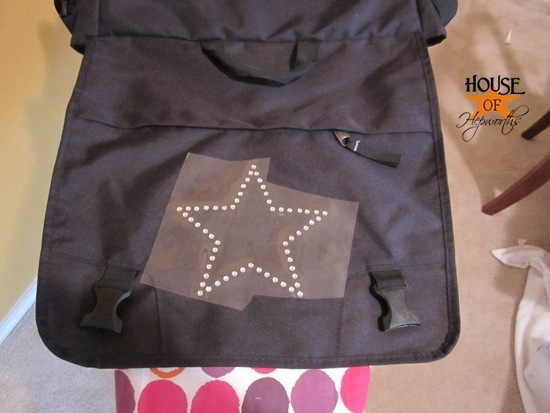 I pinned the cute star bag on pintrest. I follow Silhouette’s blog via GFC. I follow Sihouette by email and on google reader! I pinned an image and followed you on Pinterest! I follow the blog. Thanks for the chance!! Pinned the pretty dress in pintrest!! I am a sihoutte blog follower. Lovin’ the bling! I follow Silhouette’s blog. I pinned your blinged out messenger bag. I follow Silhouette. What a great giveaway! I follow the silhoette blog. OMG this was made for me to win, my soon to be kindergartener refuses to wear some of her shirts because there are “no sparklies” on them! Thanks for the chance to win! I follow the Silhouette blog! I follow Silhouette’s blog by email. Thanks for a chance to win. OMG! I would so love to win this! Following the Silhouette blog. Soo many ideas! I have been following Silhouette’s blog for a while now. I’ve been hoping that if I stare long enough it might magically appear on my desk! Ha! I pinned an image letting people know about the giveaway! I pinned the cute pink dress! I pinned the cool pic of you sweeping the jewels onto the pattern! What a neat way to place them! I follow Silhouette’s blog. I am so jazzed about all the 4th of July crafts, those are my favorite!! What an awesome contest! I subscribed to Silhouette’s Blog and I pinned the pic of your computer bag with the star. Thank you for the chance to win! 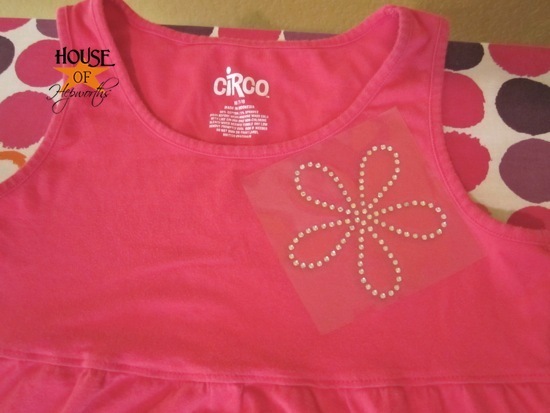 i pinned the cute embellished shirt on pinterest! I follow the Silhouette blog. Thank you so much for the giveaway opportunity!! I pinned an image onto Pinterest….LOVE the bling! I follow Silhouettes blog via e-mail. I follow Silhouette’s blog, but it would make my year to actually get one! I follow the Silhouette blog! Thanks for hosting such an awesome giveaway!- AND for sharing all your awesome projects. I love your blog! I hope I win!!! I pinned an image onto Pinterest! I pinned an image! What a fun idea! I follow Silhouette… thanks for hosting the giveaway!! I pinned the dress. My daughter would LOVE it! I follow the silhouette blog. Would love a Cameo! I follow you on pinterest and the Silhouette blog! Okay….I’m signed up to follow Silhouette. One entry please! Pinned an image. Love the wall hook your bag is hanging on. One more entry, please! I am a subscriber to the Shiloutte blog! I pinned the image of the dress (oops, called it a shirt in my last comment because I was picturing my girls in that dress worn as a shirt with leggings underneath..wouldn’t that be darling?!) Thanks for the fun giveaway! I’m following their blog! Here’s hoping! I pinned that cute rhinestone flower! My wife would love to win one of these machines! Following the Silhouette blog now. I follow the Silhouette blog! Would love to win a Silhouette. I follow the Silhouette blog via email. Thanks for the chance to win! I pinned a picture of the dress. It’s really cute! I pinned an image on Pinterest. Thanks for such a great opportunity to win an awesome crafting tool! I follow Silhouette’s blog avidly. I SO want to win one of these lovely machines! I pinned from this on my craft ideas board! I followthe blog.THIS PRODUCT LOOKS AWSOME! Woohoo!! I’m following the Silhouette Blog and I pinned an image on Pinterest!! I hope I win. Love what you made. I am a follower of Silhouettes blog! I pinned to my Silhouette board. Following! Hope I’m not too late! I follow silhouette blog and also pinned it!!!! I follow the silhouette blog 🙂 love it!!! Following the Silhouette Blog – I use my Silhouette ALL the time, but I’m still using an SD and would LOVE a Cameo! I follow the SIL blog. I follow the silhouette blog! Thanks for the giveaway! I just read where you were in an almost fatal car accident. OMG how scary! I hope further action was taken with the drunk idiot!! I’m so glad you are okay! I follow Silhouette’s blog already. These are really awesome projects, too! I have a Cricut and I’m kicking myself (hard) for not buying a silhouette instead! Urgh! I pinned the dress on my pinterest! Thanks for the opportunity to participate! I follow the Silhouette blog. 🙂 I would love to win one of these! I follow Silhouette’s blog and their Pinterest page! 🙂 would love to win this! I have been following Silhouette’s blog for a while now! Seems so cool! Thanks for the chance. LOVE your blog. 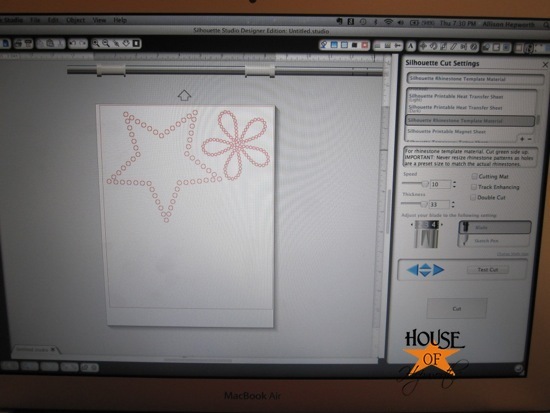 I pinned an image of the how to star in all it’s little holes. I follow the sillhoutte blog!